ECONBLOG: 2011 Georgia Econ Challenge Champs! 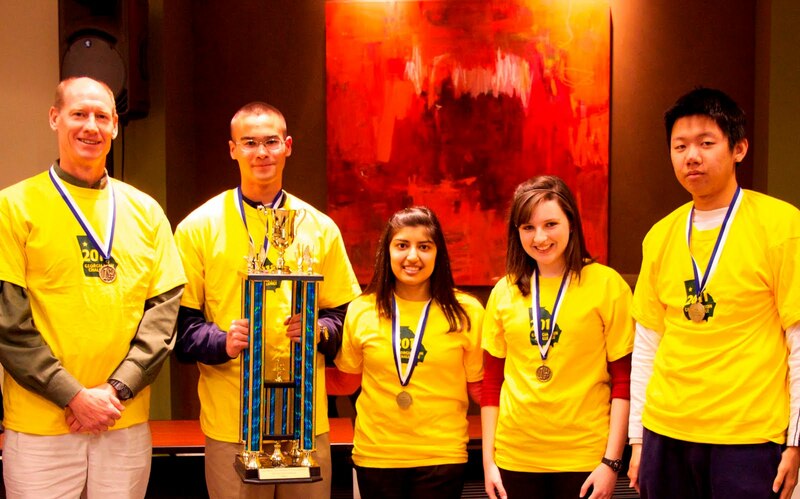 Ladies and gentleman, your 2011 Georgia Economics Challenge winners! All hail the Parkview Panthers! Super huge congratulations to coach Gary Petmecky and his team of students who came to the 2011 competition yesterday and walked away as champions. Leading from start to finish, the Parkview Panthers bested a team from Northview High School in the quiz bowl competition to take home their fourth Georgia Economics Challenge championship. Everyone go ahead and wish Parkview the best of luck as they are set to compete in the regional finals on April 27th. If they finish in the top six of regional competition they will move on to the national finals in New York City in May.